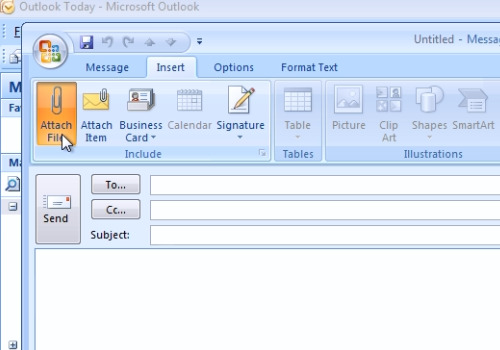 In this video tutorial we will show you how to send an outlook vcard. 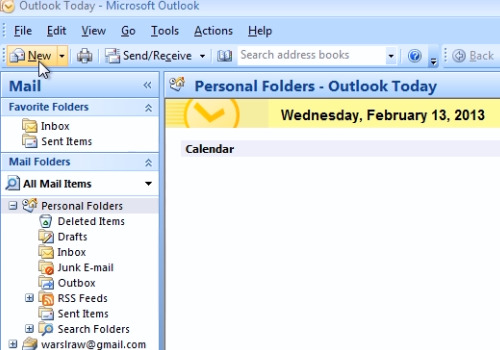 Launch the Microsoft Office Outlook. Press “New” to create the new mail message. In the following window, go to “Insert” tab. In the “Insert” menu, press “Attach File”. Choose your vcard from your hard drive and press “Insert”. 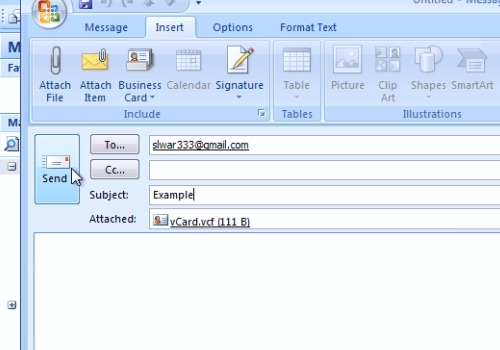 Type the email address where you want to forward the mail. Enter the “Subject” of the mail. When it’s done, press “Send” button to send the mail.